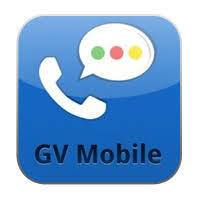 Google Voice Mobile (GV Mobile) is the perfect iPhone companion app for Google Voice. But wait...you can't get it anymore? Nice move, Apple. Luckily, I got my copy of GV Mobile before Apple banned it from the App Store. Their claim: GV Mobile duplicates existing phone functionality. Well, so does the Skype app. What's the real reason, Apple? This is lame.